FOR ALL EQUINE ANIMAL CLASSES. Vitamin A, min ........................................................ 2,000 IU/lb. Vitamin E, min ............................................................. 25 IU/lb. Processed Grain By-Products, Roughage Products, Grain Products, Plant Protein Products, Molasses Products, Calcium Carbonate, Magnesium Mica, Salt, Ferrous Sulfate, Vitamin E Supplement, Choline Chloride, Zinc Hydroxychloride, Zinc Sulfate, Manganese Hydroxychloride, Manganese Sulfate, Basic Copper Chloride, Sodium Selenite, Copper Sulfate, Niacin Supplement, Thiamine Mononitrate, Biotin, Vitamin A Supplement, D-Calcium Pantothenate, Folic Acid, Riboflavin Supplement, Pyridoxine Hydrochloride, Vitamin D3 Supplement, Vitamin B12 Supplement, Ethylenediamine Dihydroiodide, Cobalt Carbonate, Menadione Sodium Bisulfite Complex, Ascorbic Acid. Feed at regular time each day. Feed up to approximately 8 lbs. 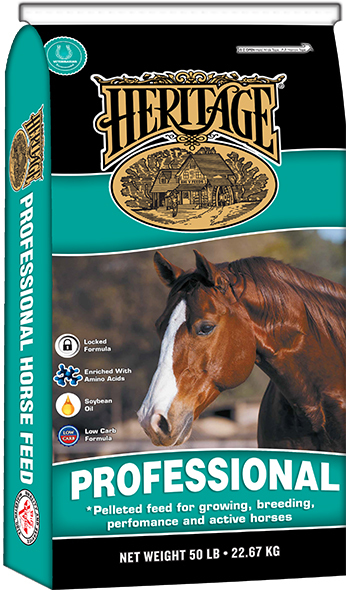 of 12% HORSE PELLETS. Working horses should be fed one or two hours before work along with 1/3 of diet in roughage (hay). The balance of roughage should be fed after working. Horses should consume roughage (hay) equaling 1 to 1 1/2 lbs. per 100 lbs. of body weight daily. 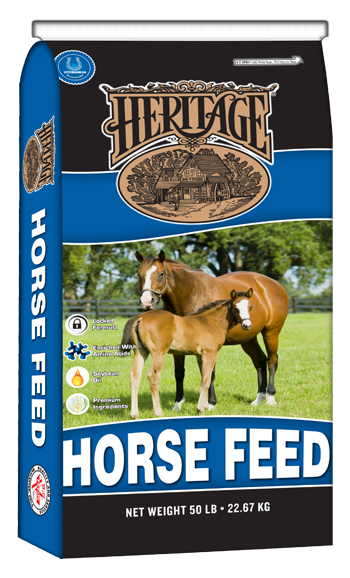 Broodmares should be fed twice daily. Race horses should be fed 3 times daily dividing the ration in equal portions. Keep salt, horse mineral and clean fresh water available at all times. Keep stalls clean and fresh. Do not overfeed or water which can cause founder or colic. Warning: This product contains added copper. Do not feed to sheep or any species with low tolerance to copper. 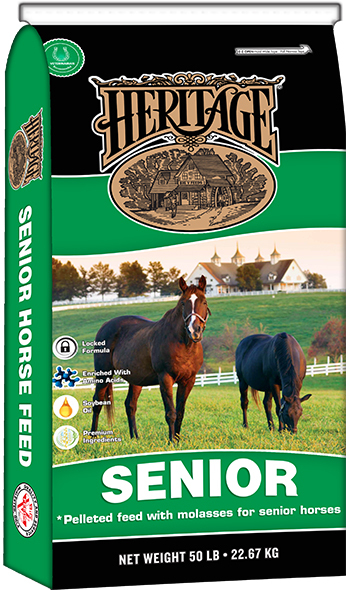 Big V Horse feeds are designed with only quality ingredients formulated using a fixed ingredient approach to insure a consistent nutritional product. 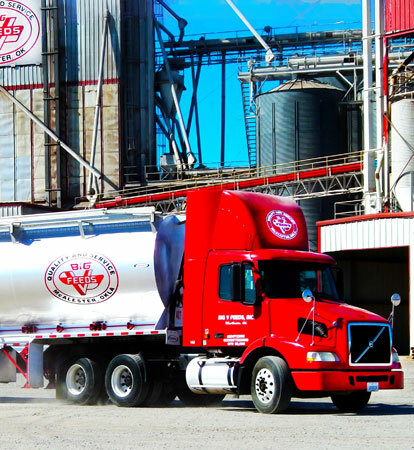 Whether your horse is a working horse, companion pet, broodmare, or competes in equine events, Big V has the feed to provide the balanced nutrition needed to excel and maintain proper growth. 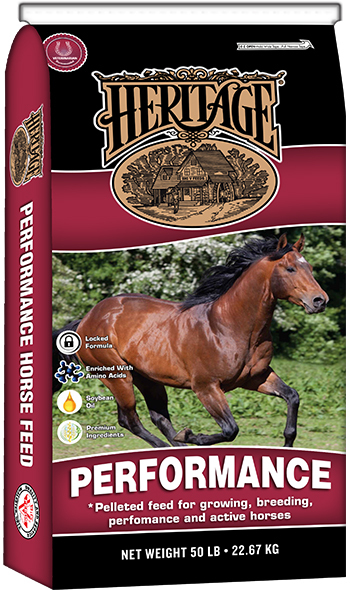 A combination of fermentable fiber and carbohydrates that provides sequential energy release necessary to meet the energy requirements of actively competing mature horses and pleasure-riding horses fed good quality roughage. 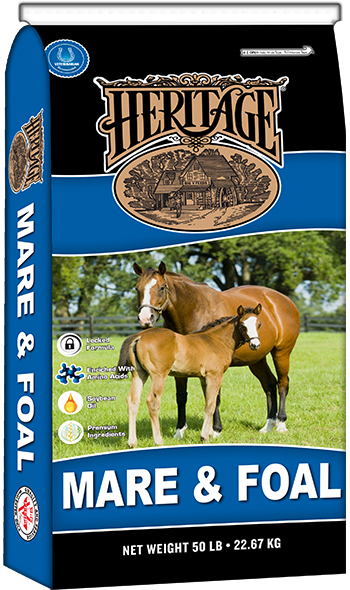 Contains quality protein needed for cellular building blocks of enzymes, hormones, tissues and skeletal framework necessary for performing horses. Adequate intake of balanced minerals in available forms and vitamins with natural tocopherols helps to ensure normal cell function, antioxidant protection of membranes and structural tissue integrity.